For the past eighteen years voters of the town of Andes have continuously voted in Marty Donnelly as their Town Supervisor. For the first election since 1997, Marty Donnelly’s name won’t be on the ballot due to his decision to retire. Bud Gladstone (D) and Richie Gabriel (R) are campaigning for the seat of Andes Town Supervisor. 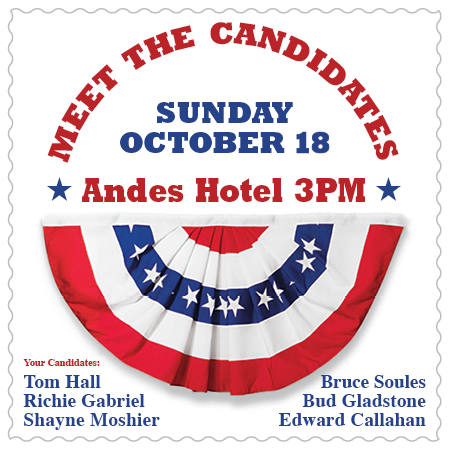 Once again a ‘Meet the Candidates’ event will be held at the Andes Hotel on Sunday October 18th at 3pm. The public is invited to attend. The two candidates running for Andes Town Supervisor have been invited to participate. Also invited to participate are the candidates running for two seats on the Andes Town Council: Edward Callahan (R), Tom Hall (D), Shayne Moshier (R), and Bruce Soules (D). ‘Meet the Candidates’ will be an open format but not a formal debate. Candidates will be given five minutes each to discuss their positions and ideas. Written questions from the audience will be presented to the Candidates by moderator Jack McShane. Tax Collector Margaret Moshier, Superintendent of Highways Mike McAdams, and Town Clerk Kim Tosi are running unopposed and have been invited to attend but will not participate. This event proved to be a valuable means to inform voters for the last town election. Once again it is being sponsored by Andes Works! and the Andes Hotel. 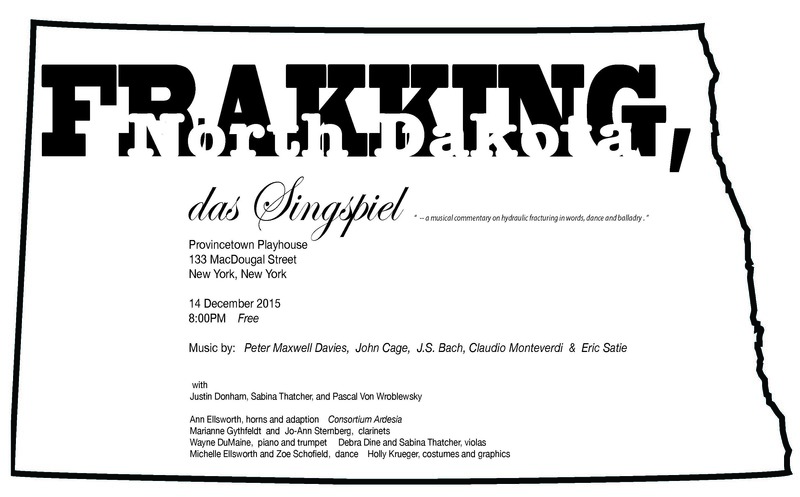 All are invited! The regular food and drink service of the Andes Hotel will be available. We are delighted to share that work is underway to turn the former Citihope building on Main Street in Andes into an indoor farmer’s market. This project is the brainchild of Andes residents, Cheryl Terrace and Andy Wos. Cheryl is a green interior designer and the proprietor of Catskill Culture Club… Andy is a renaissance man who is managing several large real estate projects in the area (among other things, like renovating buildings for indoor farmer’s markets…) Featuring local farm meats, cheeses, milks and produce… and a gathering place for promoting, supporting & GROWING our sustainable community! Get the latest news on their progress on Facebook! We couldn’t agree more! If you haven’t checked out both of these trails, you are really missing out. 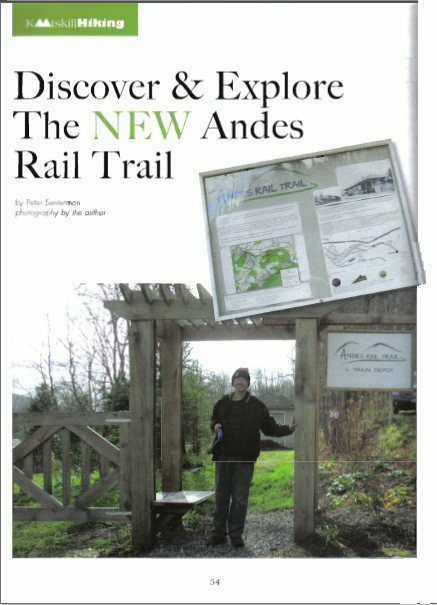 And by the summer Andes will have a third great trail — on Palmer Hill. The news is out! This spring will bring Two Old Tarts to Andes! If you’ve never been to the Two Old Tarts in Bovina, you are in for a real treat, and we are so happy they are coming to Andes. Read more about it here in the Watershed Post. This one on Palmer Hill, starting at the scenic overlook on Finkle Road and Rt 28. Keep your eyes out for the opening of the trail, and contact the Catskill Mountain Club if you’d like to help build it! Want to learn more about cycling in the Catskills? 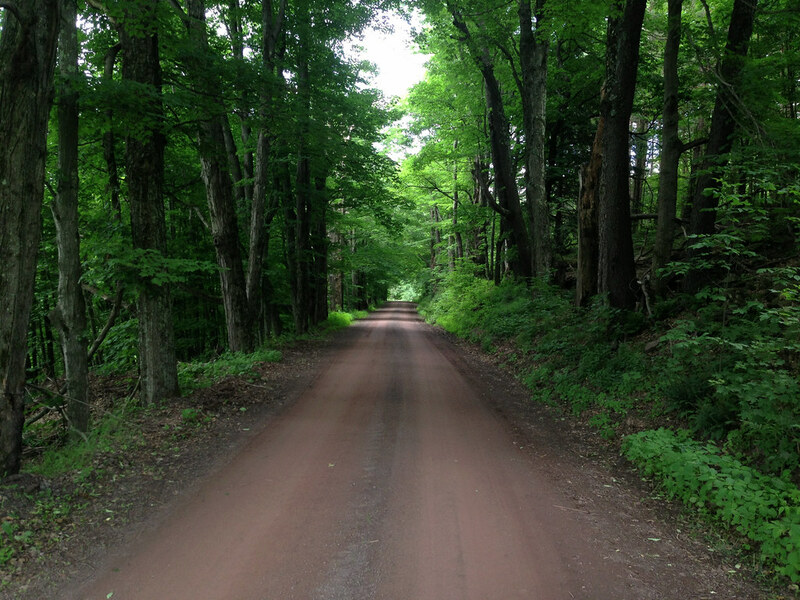 Check out a great post from Anton Tutter, co-author a cycling blog, Riding the Catskills, which chronicles off-the-beaten-path cycling routes in the region. 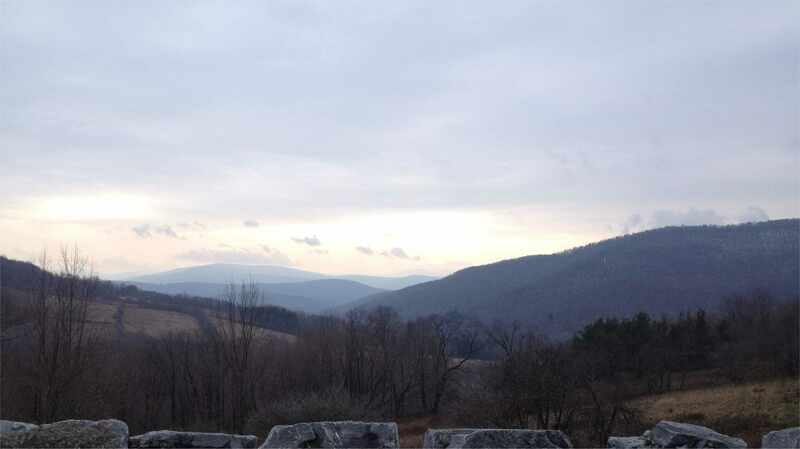 In this post, he shares his adventures cycling over some beautiful, rugged Delaware County roads as he “pass hunts” his way from Bloomville to Bovina to Andes and back to Bloomville. His description and photos will have you longing for bicycling weather – as if this winter wasn’t already doing that for some. Check out other rides in the Catskills at the rest of the website as well. Last summer, Anton wrote: I recently rode a hilly 45-mile route that connects three neighboring villages to retrace childhood memories; each holds fond memories for me. But more relevant to this post, cycling between these villages is a fun adventure in pass hunting– the sport of riding over mountain passes towards a goal of having completed a defined number of passes within a region. Popular in France (rules of the game), it’s gaining popularity here in the US. It’s sort of the cycling equivalent of hiking clubs, where the goal is to have hiked over a defined group of mountain peaks. So instead of following major roads between the villages that skirt around and thereby avoid the mountains, I opt to ride up and over the mountains along the most remote, least traveled mountain passes and carriage roads I can find, choosing dirt over pavement wherever possible. In the meantime, there’s lots going on at the Andes Hotel and in the other great places around town.